...No. Seriously. How about a clue, a hint, another pic, some bit of trivia about the movie, was it made in the 20th century, are any of the stars still alive, what country was it made in, did it win any awards. . ??? Rrrgh. I haven't seen this film, but I know one of my film books had pictures from it in it. Or at least, a VERY SIMILAR film.. But I don't have the book anymore. As your commentary suggests, Jim H, this film is not obscure, but perhaps rarely seen. Those pics are more of a clue than one may realize. You are way off... and very warm. "The Edge of The World" from circa 1937? 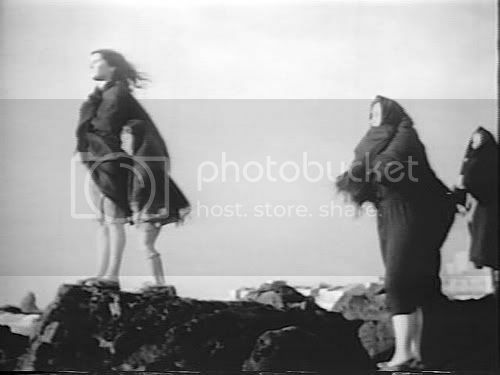 Two girls on a cliff staring out to what, one presumes, is the sea with shawled women looking on. Two girls on a cliff staring out/down to the valley below while two shawled women look on. Either it's a war movie or a film that takes place somewhere in the Mediteranean, probably about fisherfolk. Beyond that I got nuthin'! Neglected to answer your question; yes, the film is not American. Wow!! Thanks for the education; I've become something of a fan of MICHAEL POWELL's films (BLACK NARCISSUS, PEEPING TOM, THE LIFE AND DEATH OF COLONEL BLIMP...) didn't even think to look at THE EDGE OF THE WORLD. You are also warm, and way off. Baby. You got a lot! Kester: stars? Well, I don't think think it's Zorba The Greek. No, but you're not so very far off. I will say this film is definitive. That certainly simplies thing, my friend. Anybody ever seen it? 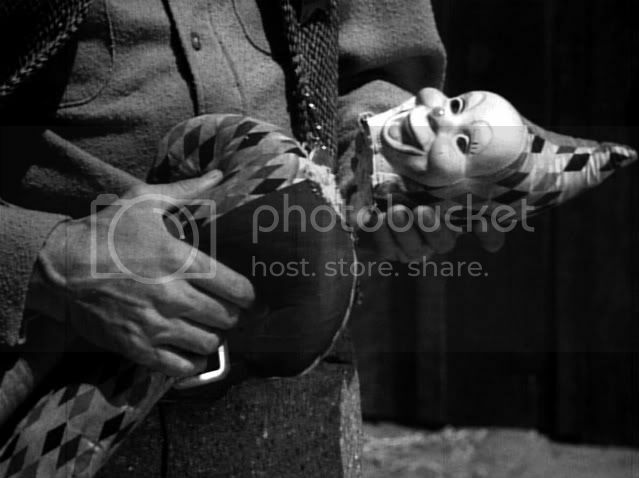 I caught it one night not too long ago on TCM. I love Italian Neo-Realism, and I'm a big fan of LUCHINO VISCONTI, but Raffine knows that, for one. It's all yours, Raffine. 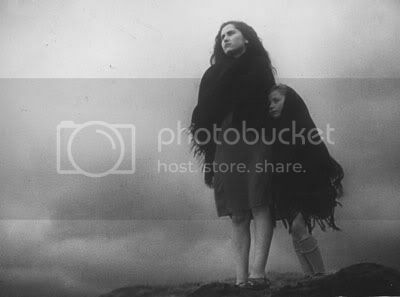 I saw it several years ago when I went through a 'neorealism' phase myself. TCM has been showing some great films this month, but I missed this one. I did manage to record a bunch of Jungle Jim movies a couple of weeks ago, though. 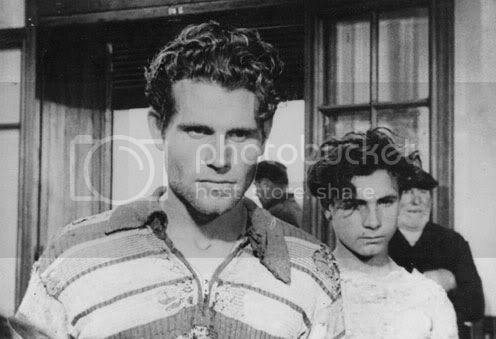 As a matter of fact, you might classify this one as neorealism since the person playing the lead role wasn't an actor - despite having appeared in over a hundred movies.